Test results = Brewholder approved! Over the past 10 years, the craft beer industry has absolutely embraced canning their beer – which is great for craft beer enthusiasts who like to take their beer on the go. But listen – some people just like drinking their beer in a glass. Well, Fermented Reality has offered a solution to this problem – B Cups plastic beer cups. 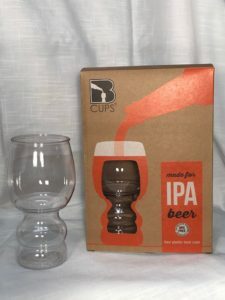 4 plastic IPA “glasses” are included in each package. 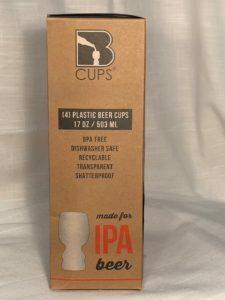 I was able to test a 4 pack of IPA cups. 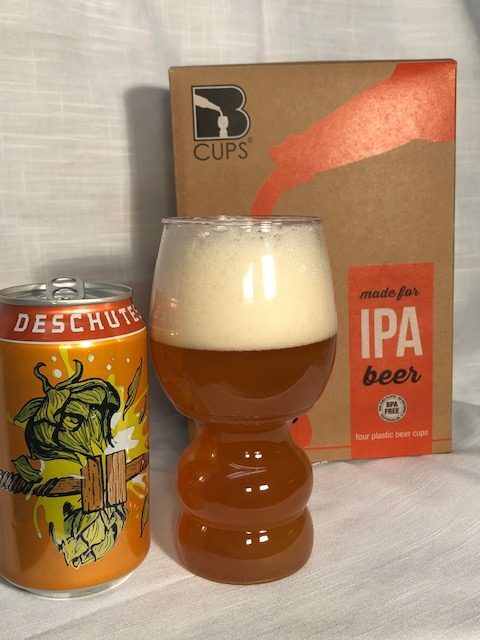 They stand 6″ tall and are transparent, not cloudy, which allowed me to see the beautiful haziness of a Deschutes Fresh Haze IPA. The shape of the cup follows the concept of constraining the CO2 in the middle of the glass to allow the aromas to concentrate in the bulb at the top of the cup. The indent also makes for a convenient and comfortable grip. I have not yet washed them, but the packaging indicates that they are dishwasher safe. 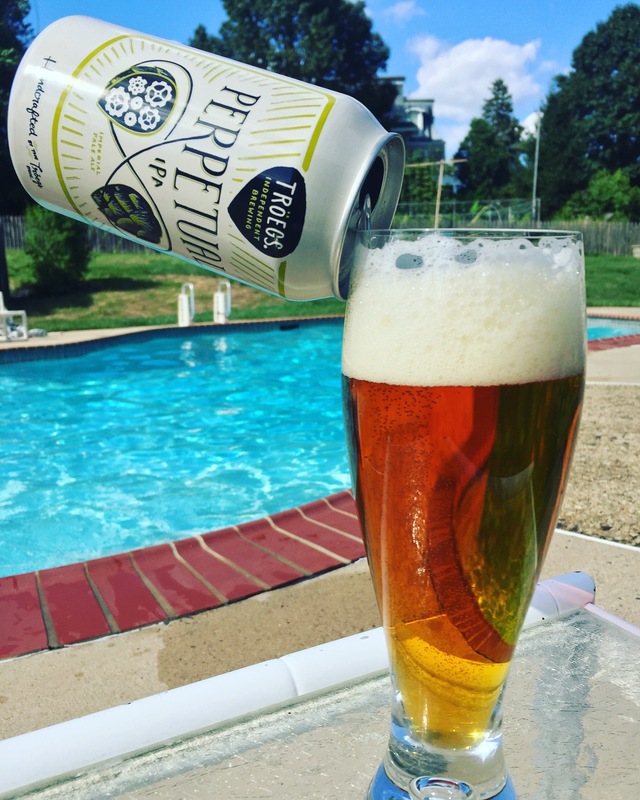 Dishwasher safe, shatterproof, and transparent – everything you need for a perfect poolside IPA! Living dangerously with a glass of Troegs Perpetual IPA poolside! Anyone who has seen my Instagram posts in the summer knows that I have been living dangerously by using glassware on the pool deck; these B Cups will definitely be appearing in my posts this summer because they are shatterproof! B cups were the creation of the guys at Fermented Reality, who are the minds behind the Fermented Reality Biergarten in Tampa, FL and the Fermented Reality podcast. B Cups are available in 4 different formats: IPA, Stout, Lager and Funk. Order directly from the website here. 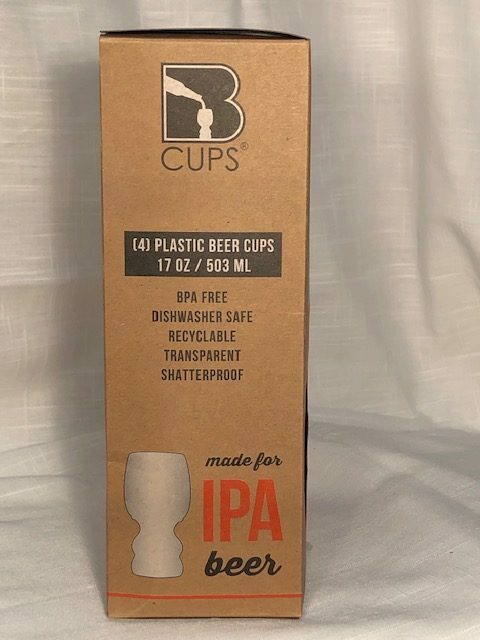 A pack of 4 IPA cups sells for $19.99, plus tax & shipping. If you love looking at your beer when you drink it and like to take your beer places that glass shouldn’t go, B Cups are for you. In the end, this product is The Brewholder Approved! 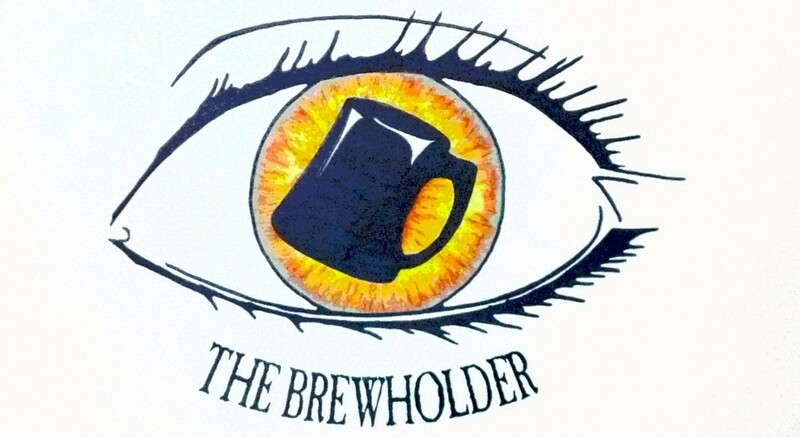 This entry was posted in Articles and tagged #brewholderproductreview, #craftbeer, #craftbrew, #fermentedreality, #hophead, #ipa, #thebrewholder by Thebrewholder. Bookmark the permalink.